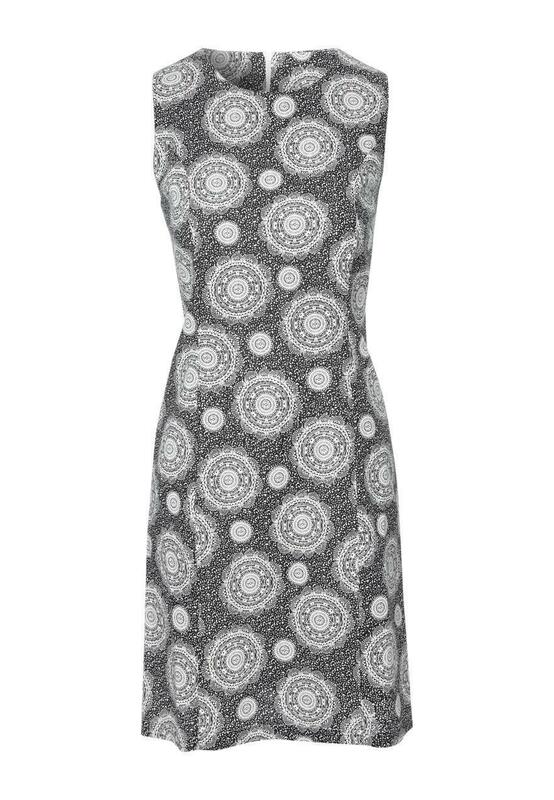 Dress smart in linen this spring summer season in this womens all over print dress. Perfect for summer days or a day in the office. Featuring a sleeveless deign, fitted waist, to the knee length and zip up back. 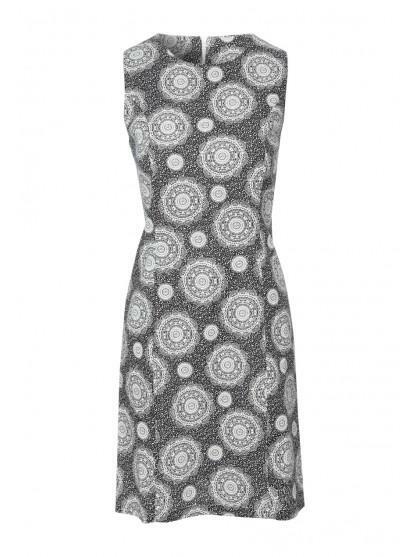 Wear with court shoes and a clutch bag for a complete look.